KINGSTON, Oct 05 (IPS) - In the face of the many challenges posed by climate change, Panos Caribbean, a global network of institutes working to give a voice to poor and marginalised communities, says the Caribbean must raise its voice to demand and support the global temperature target of 1.5 °C. "This is a mission that should not be left only to climate change negotiators. Caribbean leaders and diplomats, the private sector and civil society must also be vocal on the international scene and at home," Renard told IPS. "The global response to climate change must not be reduced to a mechanical concept. It needs to be accompanied by a renewed approach to economic development and by a change in mentality, so that it is included in the broader context of people's livelihoods, social values and development priorities." The Panos official said artists, civil society leaders and other actors in the Caribbean should emphasise the need to challenge the dominant approaches to development and to help shape new relationships between people, businesses, institutions and the natural world. 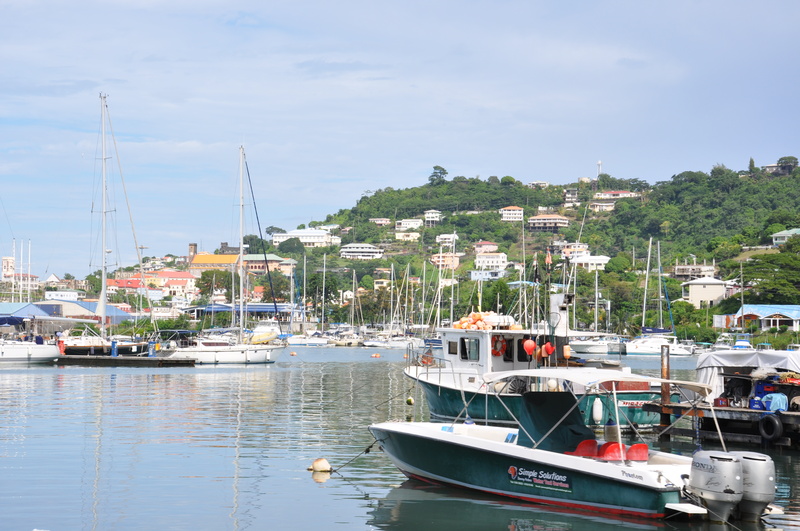 Meanwhile, the Caribbean Natural Resources Institute (CANARI) said community-based and ecosystem-based approaches are critical to build resilience to climate change, especially in Small Island Developing States (SIDS). "Investing in conserving, sustainably managing and restoring ecosystems," CANARI states, "provides multiple benefits in terms of building ecological, economic and social resilience, as well as mitigation co-benefits through carbon sequestration by forests and mangroves." Renard said as evidenced all over the Caribbean in recent years, it is the poorest, marginalised and most vulnerable who are the most affected by climate change. These include small farmers suffering from severe drought, households without insurance unable to recover from devastating hurricanes, and people living with disabilities unable to cope with the impacts of disasters. "Climate change exacerbates inequalities, and adaptation measures must provide the necessary buffers and support to poor and vulnerable groups," Renard told IPS. "All sectorial, national and international legal and policy frameworks must recognise the benefits that can be gained from participation and partnerships, including the empowerment of communities, businesses, trade unions and civil society organisations to enable them to play a direct role in the identification and implementation of solutions, particularly in reference to adaptation." Additionally, he said the architecture and operations of climate finance institutions must be improved to facilitate direct access by national and regional actors; and to consider the financing of adaptation actions on the basis of full cost, especially in small countries where there is limited potential to secure co-financing. He said that climate finance institutions also needed to facilitate civil society and private sector involvement in project design and execution; and, increase SIDS representation in the governance of financing institutions. Renard said that in light of the critical importance of decentralised and community-based approaches to adaptation and resilience building, financing institutions and mechanisms should design and implement facilities that make technical assistance and financing available to local actors, as is being done, with significant success, by the Small Grants Programme of the Global Environment Facility. He said that even in some of the poorest countries in the region, local actors have been taking the initiative in responding to the impacts of climate change. "For the Caribbean, a regional coalition of civil society actors is necessary so as to build solidarity, and to share experiences and expertise on climate action in local contexts. These civil society networks must reinforce and build on actions taken by regional governments, and more international support is required for this work to be undertaken," he said. "Increased resources and capacities in communications and advocacy are required in order to disseminate the scientific evidence on climate change, to deepen understanding within the region on climate change and its impacts, and to push for more ambitious action on climate change at the global level." In addressing the 73rd Session of the United Nations General Assembly debate, Grenada's foreign affairs minister Peter David called on other Caribbean nations and SIDS to serve as "test cases" for nationwide implementation of climate-related technologies and advances. David said the Caribbean also represents some of the most globally compelling business cases for sustainable renewable energy investment. "Being climate smart goes beyond policies," he said. "It goes beyond resilient housing, resilient infrastructure and resilient agriculture. It means that the region can also serve as a global beacon for renewable energy and energy efficiency." "We aim to not only be resilient, but with our region's tremendous potential in hydro-electricity and geothermal energy, we could also be climate smart."